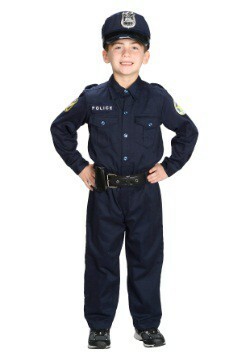 Dressing your kiddo up as a cop for Halloween is a good call! Police costumes are a classic, and they can be so much fun! Your little one can run all throughout the neighborhood, looking for candy while protecting his city from any kids looking for tricks rather than treats! It's a tough job, but someone has to do it. But, this job does have its perks! 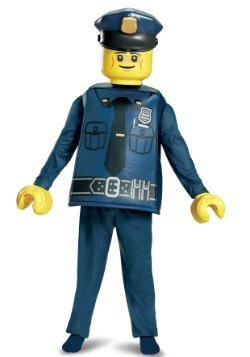 After all, when you dress as a cop for Halloween, you are getting paid in candy! Keeping the streets trick-free on Halloween won't be easy. Little troublemakers dressed as prisoners will be running all about, and your child is the only one with the authority to stop them! 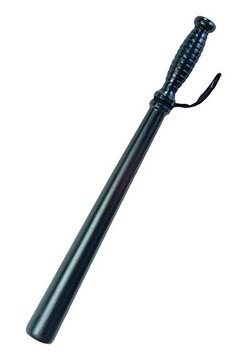 We recommend you send your little guy or gal out with a candy bag in one hand, and a flashlight in the other, so that the bad guys can't hide! This costume comes with everything you'll need to transform your kid into a man of the law! The pants and shirt come in a dark navy, and look like they could be standard issue! 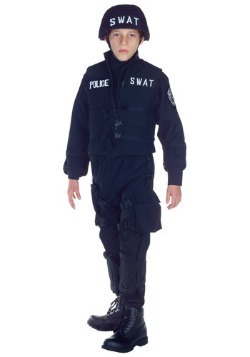 This costume also comes with a belt, to hold anything that a police officer might need. 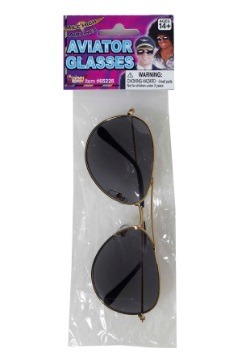 They will also be wearing a policeman's hat, but that's not all! 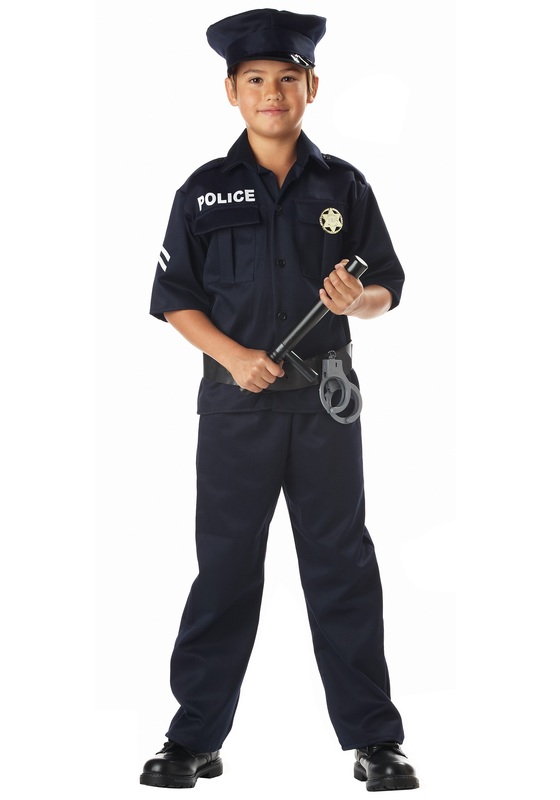 This costume works so well thanks to the attention to detail, and that's why we've included a badge and handcuffs! 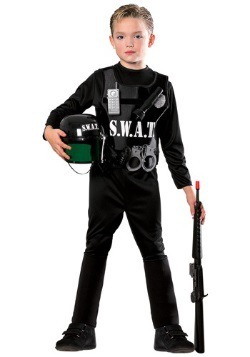 With this costume, there is nothing your child won't be ready to handle. One thing we thought might be kind of cute to add to this costume, would be a little book of fake tickets! That way, as your kid goes throughout his night, he can hand out citations to people who are too scary or not wearing a costume. You could also say that the tickets can only be paid in candy! If you decide to try this out, please let us know how it goes!